GoPro is a great tool for anyone who is looking to capture some amazing looking footage. The best part about GoPro is that it is so small that you can literally carry in your pocket. So, whenever you are headed out to somewhere, you can just use the GoPro and get some amazing footage out of it. The issue comes when you have to edit the footage as some people run into issues. Well, if you are one of those, then do not worry. As in this article, we are going to be looking at some of the best video editors that you can get for GoPro. 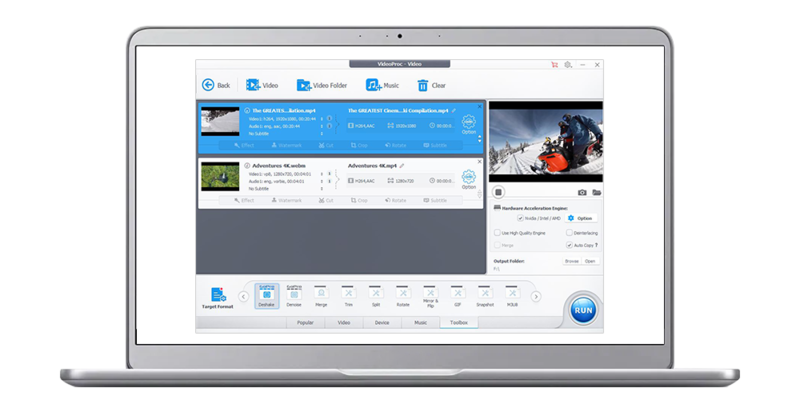 Below, you will find the best GoPro video editing software solutions. Just know that this is by no means a comparison guide, just a roundup to help the readers make a proper selection. So, let’s not further delay anything and have a look, shall we? The first video editor that we are looking at is called VideoProc. For those who do not know, we have reviewed this before. VideoProc is actually a video processing toolkit that can be used for basic video editing, conversions, ripping DVD disc to digital, comes with downloader for popular platforms (such as Youtube, Facebook and so on), screen recording. These are just some of the features that make VideoProc so good at what it does. So, it was only fair that we add it onto the list of the best GoPro video editors. Stabilize and Denoise Video Footages – It can actually stabilize as well as denoise your videos recorded by GoPro 5/6/7. Fisheye Correction – Fix fisheye effect recorded by Superview and Wide FOV. Basic Editing Options – The software supports all the basic options to cut, merge, split and crop GoPro videos. Make GIF – Allows you to convert video into GIF, extract jpg/png from the video, resize the image. 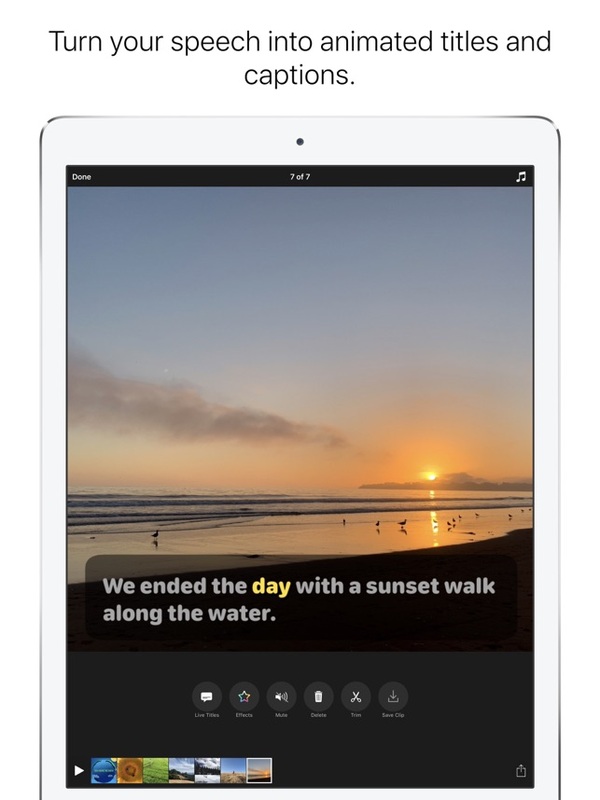 Add Effects, Subtitles, Watermark – Easily add filter effect, subtitle and watermark to GoPro recorded videos. Transcode the videos – You get the ability to transcode the videos, i.e. HEVC to H.264 so the videos can be played on a wider range of devices. Level-3 hardware acceleration – Edit, convert and process your GoPro videos faster using full hardware acceleration. The good thing about VideoProc is that it offers top of the line performance thanks to the level-3 hardware acceleration, it works on almost all the hardware types. 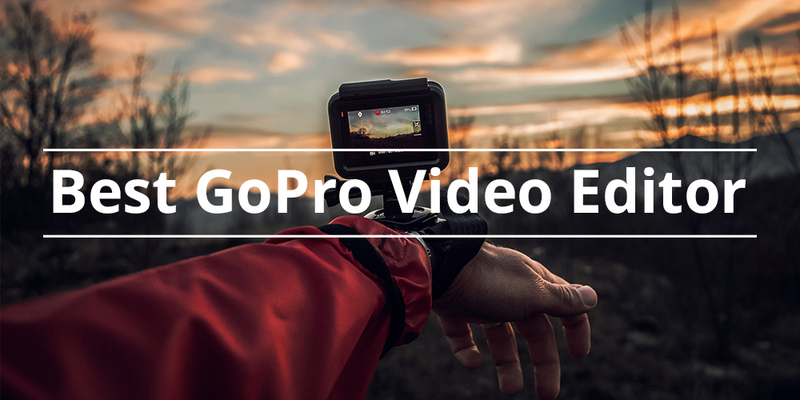 It comes with a great list of tricks to edit GoPro videos like a charm, and it can actually download music and videos as well. A rather unusual feature for a video editing software. Moving onto the downsides, we did not run into any deal-breaking issues that would make the software less intuitive. As a matter of fact, this is certainly one of the best video editors available for GoPro. Contains all the features of the full version but for a trial period. Level-3 hardware acceleration makes everything fast. Loaded with basic and advanced video editing features. Bultin screen recorder and DVD ripper. You can download music, as well as videos. The great thing about Quik is that it comes straight from the masterminds behind GoPro. Which means that you are basically getting a first-party video editing software that has all the amazing features that you are going to need in order to edit your videos effortlessly and without any issues. Below are some of the highlighted features of Quik, so, let’s shed light on some of them. Supports All Video Types: One of the biggest benefits here is that Quik likes to play good with all video types, so you do not have to worry about unsupported formats. Access to Themes: Another good thing is that with Quik, you get access to some pretty decent themes that you can use to make your experience a bit more granular. 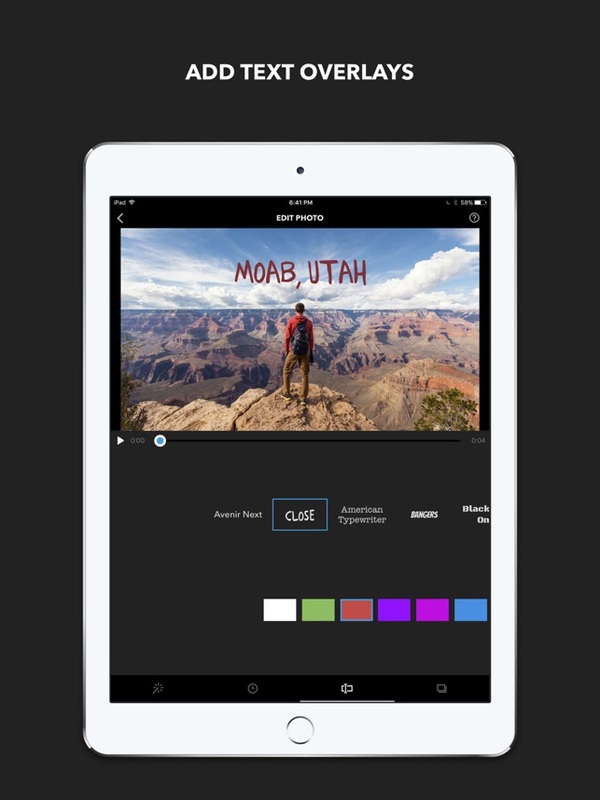 Customize Your Videos: With Quik, you really do not have to worry about your videos looking bland or standard because you can customize it just the way you want to. Great Audio Repository: Using Quik will allow you to use audio files that you can use in your music to make everything sound even better. Now the features are great, and that is something we will not deny. But under the core, Quik happens to be one of the most respectable software solutions when it comes to GoPro users. You can effortlessly edit both photos as well. The software offers simplicity when it comes to using them, and the interface looks neat and clean. Being a first-party solution, the overall performance of the software is commendable, to say the least. As far as the downsides are concerned, I do not think Quik can give you any issues. The desktop version of this software runs flawlessly and without creating any issues. 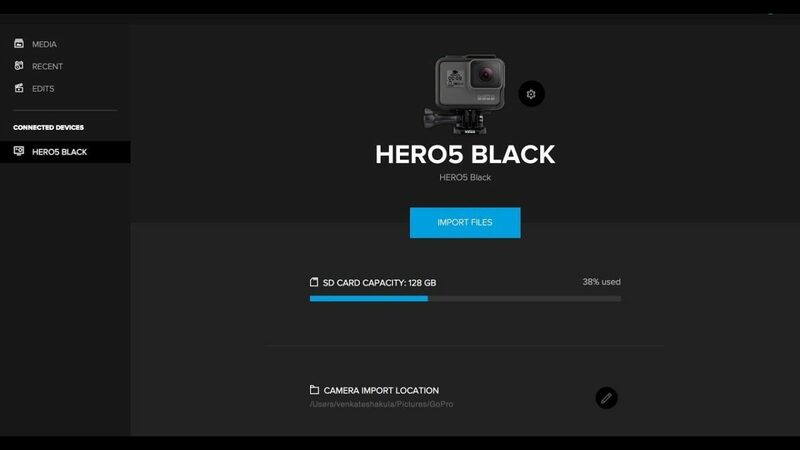 All these offerings make it one of the best free GoPro video editor without watermark. The interface looks neat and clean. The performance overall is great. If you are looking for something advanced, and you want to be able to do more than just edit videos, then another great option that we have for you is Blender. It certainly is one of the best video editing software solutions whether you are looking at GoPro videos or other videos for that matter. Below, you will find some of the highlighted features of this amazing and entirely free video editor. 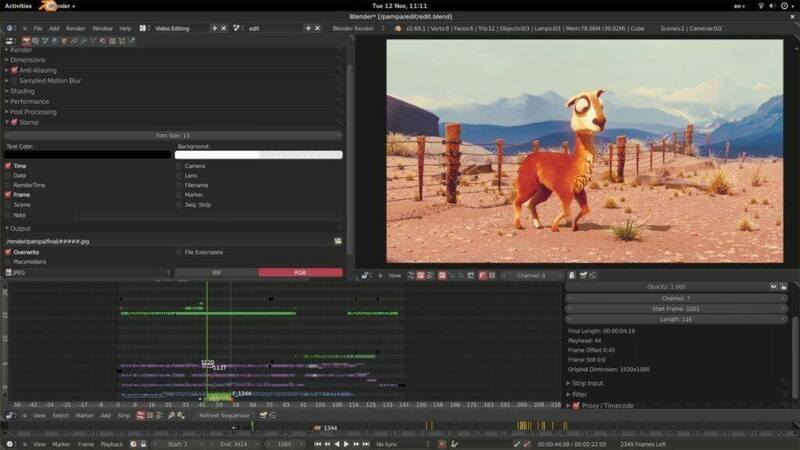 Render and Animate: With Blender, you can edit your videos for sure, but it also has a full-fledged animator, and renderer that can make your job even easier if you want to. Visual Effect Library: Another great thing about Blender is that you get access to a long list of visual effect library that you can use to your convenience. It makes everything super simple, and easy. Tools for Everyone: Whether you are looking for just editing videos, you want to do some scripting, animating, or rendering, Blender has it all for you. Needless to say, as far as the features are concerned, there is no denying that Blender is no slouch. The editor can definitely allow you to edit videos and make them look amazing as long as you are careful about using them. The best part is that you are getting something that is not just entirely free and secure, but also open source. Additionally, you are also getting a long list of platform support that will ensure maximum usability across different platforms. The only downside here is that you are going to need a good GPU if you properly wish to utilize the GPU specific features. Overall, Blender is definitely one of the best video editing software that the GoPro users can utilize and make the most of their work and time. You will need a powerful GPU to properly utilize all the software features. There is no denying that open source software solutions are slowly taking the industry by storm and they are continuing to do so. They are a lot more convenient than some of the other options as with these software solutions, you get access to features that are new and that happens on a regular basis. 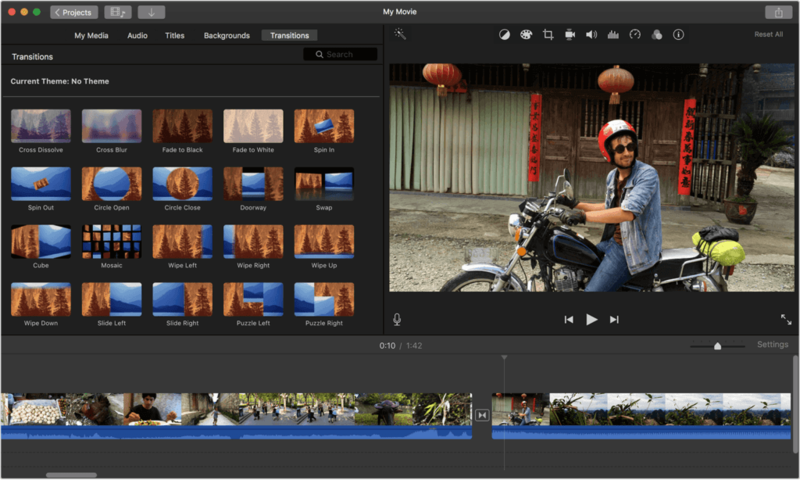 Shotcut is definitely the free video editing software for GoPro that everyone is talking about in the modern day and age. The good news is that it is packed with some amazing features, let’s have a look. Great Video and Audio Features: The good thing about Shotcut is that it does not shy away from giving us great audio and video features. There is just so much fidelity to this software that it makes it easier than you might think. Cross-Platform Support: This is definitely something that most people are constantly looking for. With Shotcut, you get amazing cross-platform support that makes the whole experience so much better and easier for those who are looking to use it. Open Source: The reason why I am listing this as a feature because being an open source software, you get regular updates that are always bringing new and improved features as well. There is no denying that Shotcut comes packed with some amazing features. Additionally, the interface on this software is also among the best, and you get a plethora of features that are specific towards both audio and video. The best part about this software is that literally everything about it can be customized as per your requirements. Honestly, my only gripe with this software is that you do not get device-specific profiles. That is a small issue. Overall, the Shotcut happens to be among the best video editors you can find. It is simple, easy to use, and extremely convenient to use as well. One of the best-made interfaces. A long list of video, and audio oriented features. Everything about the software can be customized. No pre-made profiles for devices. The great thing about software solutions that are made by Apple is that they are so optimized that you really do not have to worry about any discrepancies that might be an issue. This is where iMovie comes into play. The software solution is so convenient for the Apple users that it is hard not to use it. Below, you will find some main features of this software. Amazing Titles: One of the main things that you must know about this software is that you are getting studio great titles from this software. Lots of Filters: If you wish to add a visual flair to your videos, you can do so by using one of the countless filters that this software provides you with. Amazing Soundtrack Library: The software even provides you with an amazing soundtrack library that is free to use, and adds a great value to your video. 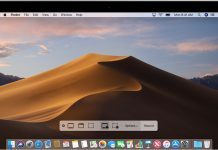 Even though iMovie is designed for those who are still at the beginner’s level, the good news is that with the features you have, there is plenty to look forward to that makes your overall experience a whole lot better. The simple and refined interface, intuitive tools, as well as the amazing keying feature, and most importantly, the support for Theater feature is a blessing. The only thing that I would like to say here is that Apple should include motion tracking and multi-cam feature as well, and the tagging support is missing too. 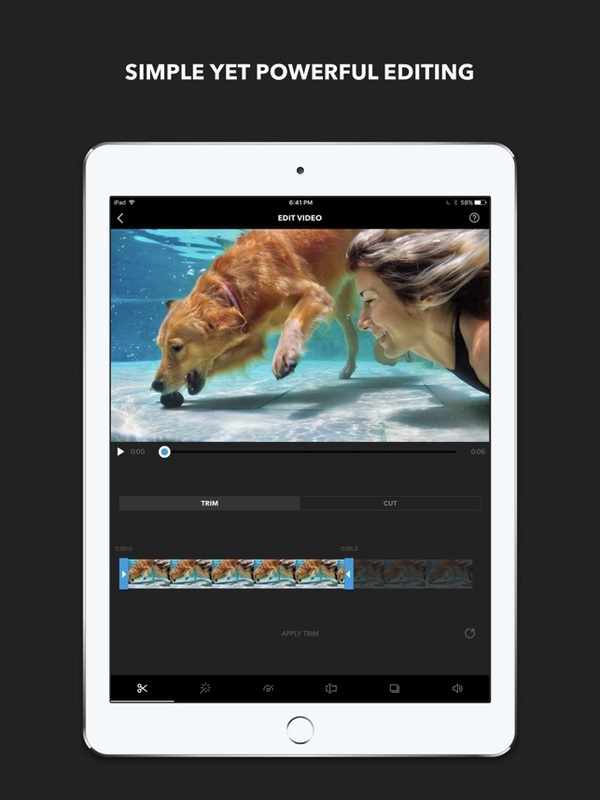 Overall, iMovie is definitely something that most of the people should look for as it gets the job done in all the cases that you throw at it. It is a great software for those who are still beginners and works wonderfully. Theater feature is a blessing for the Apple ecosystem. Great for keying your videos. Multi-cam and motion tracking feature is missing. 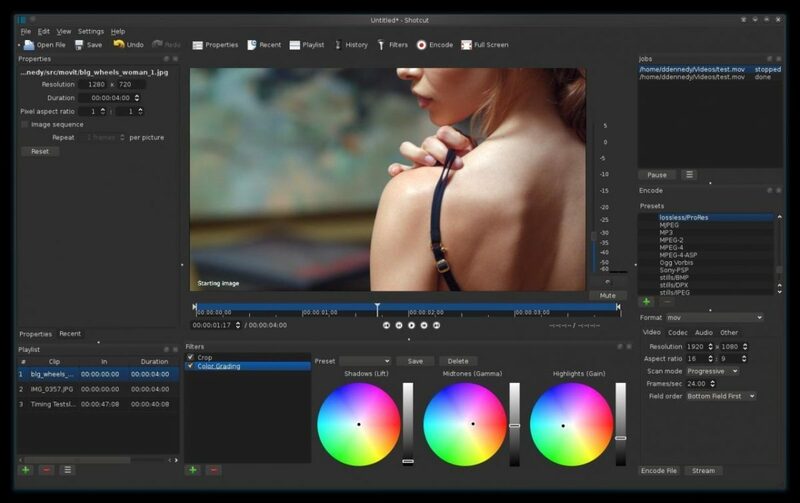 OpenShot is definitely the software solution that is made for people who are in search of a high-end, open source video editing software that also happens to be free. However, do not let that fool you as the amazing features are still there, so you really will not have any issues whatsoever. As far as the features are concerned, you are not left behind in that department either. You do get a nice list of features that will make this software worth your while. Cross-Platform Video Editing: One feature that we really admire here is the cross-platform video editing. This is definitely something that makes the video editing process all the more seamless. Great Format Support: Whether you are working with audio or video, you do not have to worry about running into anything that is not supported. As OpenShot supports even those formats that have been obscured for some time now. 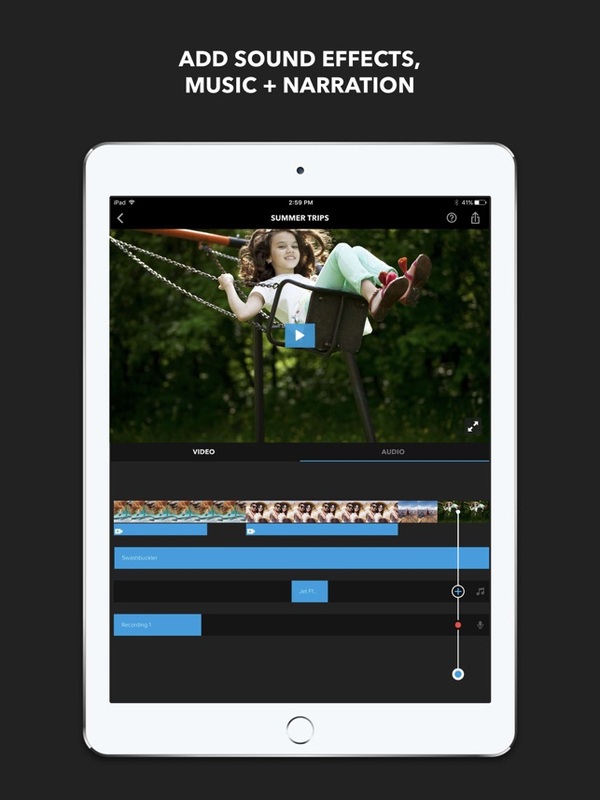 Great Editing Tools: With OpenShot, you can make full use of the tools that are available at your disposal. OpenShot definitely has the potential to become a fan favourite. Thanks to the fact that it is easy to use, has a great interface, comes with enough features to keep you occupied, and the best thing is the audio manipulation that works wonders. The downside here is that the software can be demanding on less powerful hardware. So, that is another important factor that we must keep in mind. Overall, I think OpenShot is definitely one of the best video editing software solution that you can find. It is simple, great when it comes to overall usability, and has all the necessary bells and whistles that you would need to make your experience with video editing a treat. There are enough features for everyone to use without any issues. Audio manipulation features works brilliantly. Comes with strangely high system requirements. The good thing about video editing is that you are not limited by design when it comes to what you can edit on. If you do not have the ready access to a PC, you can do the editing on your smartphone as well. Below, you will find the best video editing software solutions for GoPro videos but this time, it is on the smartphones. Quick is back again, but this time, we are looking at the mobile version of the software. We have already looked at the desktop version and we were thoroughly pleased. So, now are looking at the mobile version to see just how good it is. In terms of the features, you get the same features that you have on the desktop version. So, there is nothing to worry about. One of the main things I love about the app is that you can sync it with your GoPro and export all the videos so you can edit them. 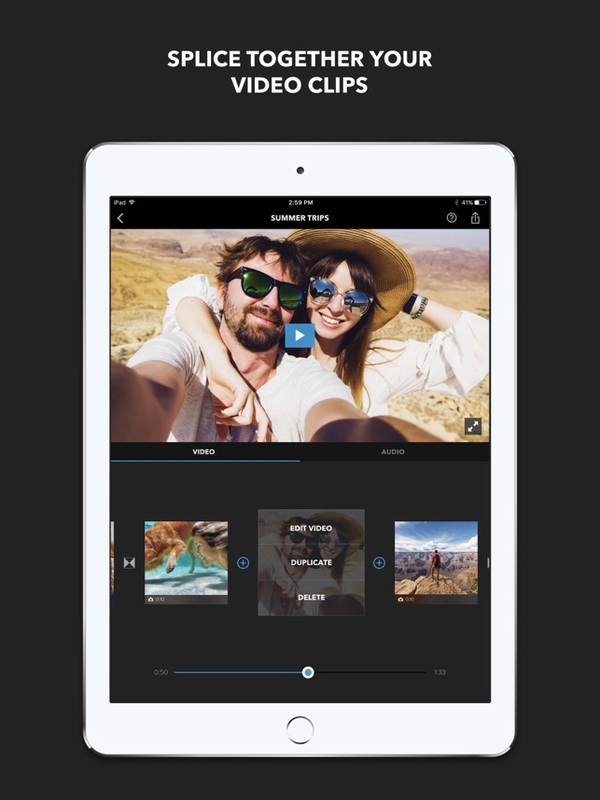 The app also gives you the ability to edit both videos, as well as photos. This is certainly a cool feature for anyone who is looking to make the most of their experience. The interface is clean for an app, and it works rather smoothly. So, I can assure you that as far as the performance hiccups are concerned, you will not have to worry about any of those. On the contrary, the one thing I noticed is that the app does take its toll on the battery life of your smartphone. Which is understandable since it requires high processing power. Overall, Quik on your smartphone is just as good as it is on your desktop. Sure, you do not have the granular level of video editing control on the smartphone app but it still impressively rich with features and does not disappoint. Watermark: But can be removed by tapping the screen. 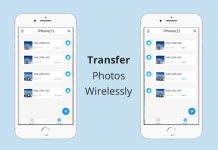 Allows the user to effortless edit photos and videos. Can start draining battery rather fast. 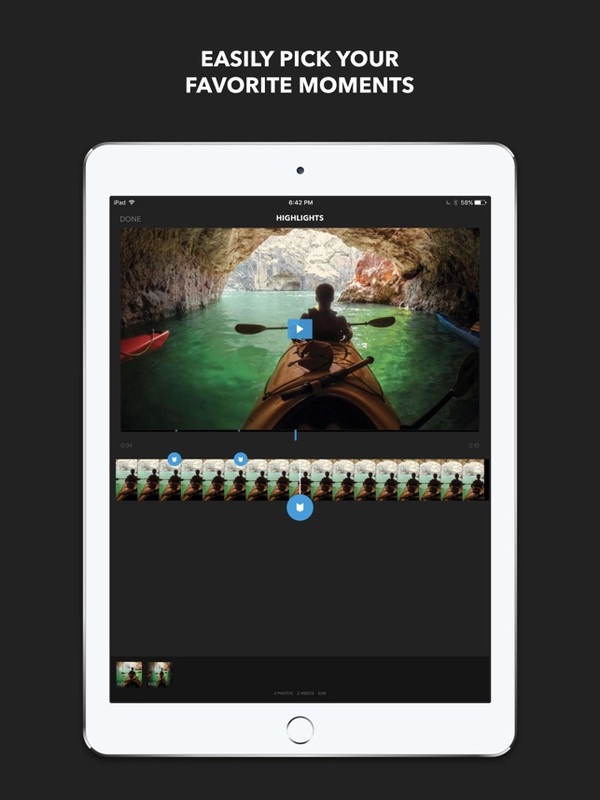 For anyone who is using an iPhone, Splice is the main video editing software that most people use, and for all the right reasons. The app is amazing in everything it has to do and it does it ever so effortlessly. The best thing about Splice is that is made keeping the convenience of a good app in mind, so you have the easiest experience getting the most performance out of it as well. Below are some of the main features that you might interest you. Simplicity: One of the main things about Splice is that it focuses on simplicity, wherein it happens to be one of the easiest to use software solutions you will find in the market. Customize Your Audio: Another great thing about Splice is that it lets you customize your audio just the way you want. It is a simple, all in one solution that you can make use of, and in all honesty, it works brilliantly, and without any issues as well. Splice does not focus on having the top of the line features, as a matter of fact, the main focus is to provide simplicity to the users and have them use the software without any issues. You also get an impressive library of music that is royalty-free, so you can use it to create truly unique videos. You can even upload the videos directly to any social media website, and most importantly, you can edit the photos as well. My only issue with the app is that there is no Android version of this otherwise amazing app available. It would have made everything so much easier and convenient otherwise. Overall, Splice is definitely something that you should look into if you are using an iPhone and you want to have something that gives you a really easy video editing experience because the app does deliver it. Simple and accessible video editing. Impressive library of royalty free music. Uploads direct to your favorite social media. No Android version at the time of writing. I love Adobe’s Premiere Pro thanks to the granular video editing tools that it offers. The software works with such fidelity that there are absolutely no issues whatsoever. It works really well, and the best part is that it is simple and easy to use as well. The Premiere Clip is for those who want to be able to edit the videos on their smartphones with ease. Adobe Premiere Clip does come with some really nice features. Import: One of the best features that you get on the Adobe Premiere Clip is that you can import the clips straight from the Premiere Pro, making everything all the better. Integration: Another thing that you must know is that the software can integrate with Adobe Lightroom as well as Capture. Seamless Synchronisation: You also get seamless synchronization with all the devices that you own. Adobe Premiere Clip is definitely the software to use for anyone who is looking for a seamless experience in making sure that the videos look stunning. You can, to some extent, make your videos look professional with ease. It is amazing for those looking for on the go editing, and it is packed with features. If you wish to, you can send the videos straight to Premiere Pro for further editing, and it offers amazing integration with the rest of the Adobe softwares. The only downside here is that the app comes with a learning curve that can be hard to master. But once you do master it, using it becomes extremely easy and conveninet. Overall, the Adobe Premiere Clip is definitely something that you should invest in if you are looking for a good editing experience on the go. Great for on the go editing. Has all the features you would want. Send videos to Premiere Pro. Full integration with Lightroom and Capture CC. Comes with a steep learning curve. Apple Clips is by no means a professional video editing software. As a matter of fact, it is mainly for those who are looking for making interactive videos, and share them with their friends whenever they feel like. The best part is that the software does cater to the fun-loving people with some basic features that are listed below. 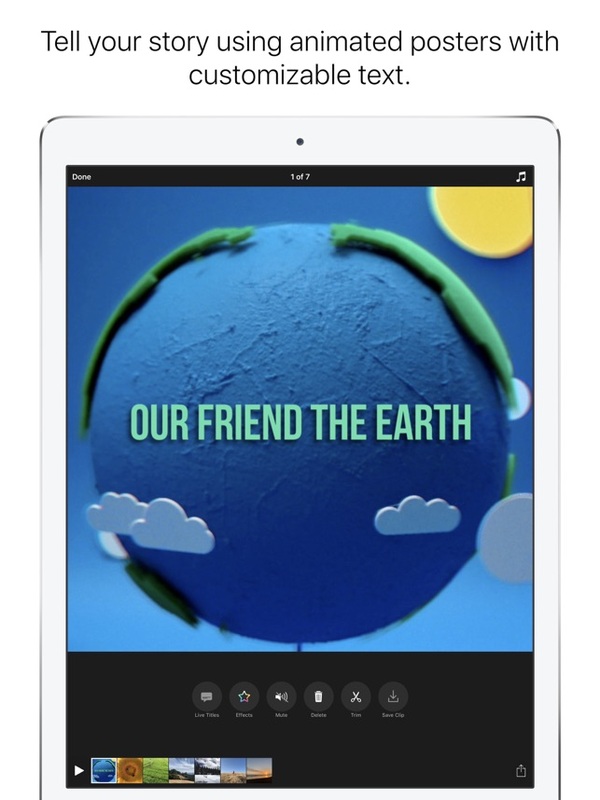 Creation Friendly: With Apple Clips, you can create video clips in a matter of a few seconds and with great ease. 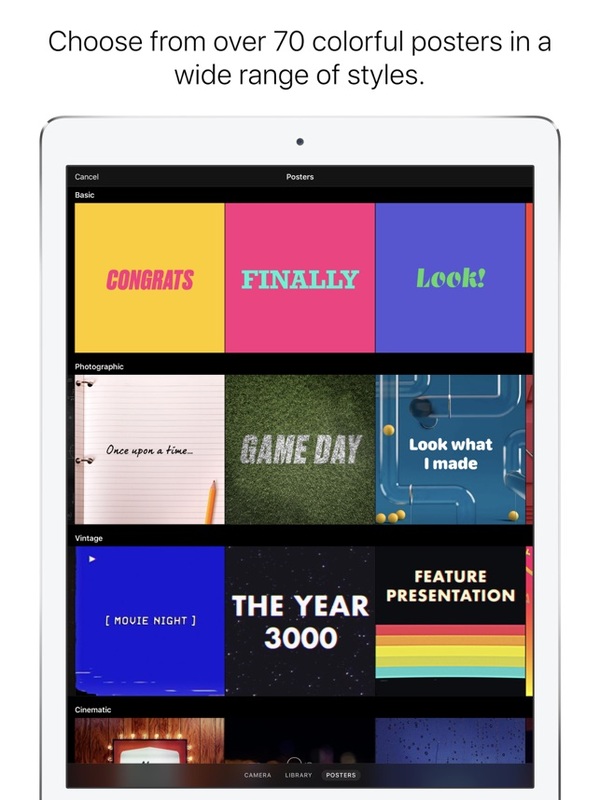 Too Many Titles: If you want to have the freedom, then Apple Clips gives you access to a lot of titles that you can choose from for a greater experience. Stickers for Fun: If you want to have some fun, you can use the stickers to make your videos look even better. 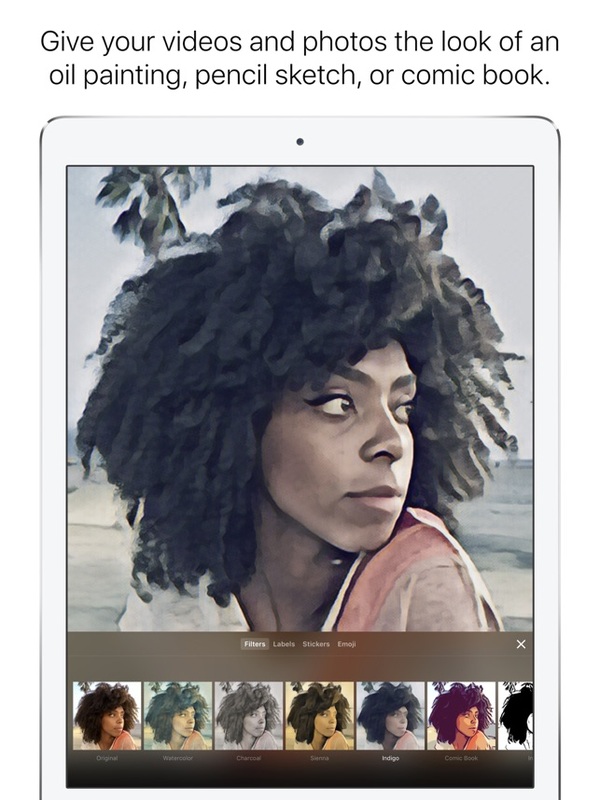 Selfie Scenes: Give your selfies a bump by using selfie scenes which only make them look better. It is safe to say that you are already aware of the fact that Apple Clips is not built with advanced editing in mind. As a matter of fact, the software offers some really basic editing, but all in a good sense. It gives you the freedom to send cute selfies to your friends, as well as your family members. You can create some fun looking video clips with a few taps, and the interface will most certainly not confuse you in any way. It does lack advanced features, but it should not be a bother for many people. 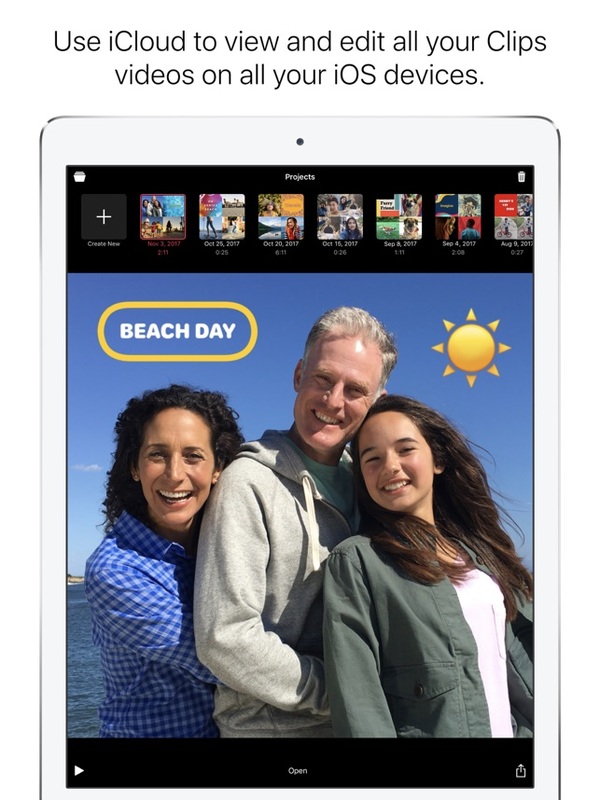 Overall, Apple Clips is made for those who are searching for simplicity. It does not throw a plethora of features at you because most of the features it does have are simple and concise. 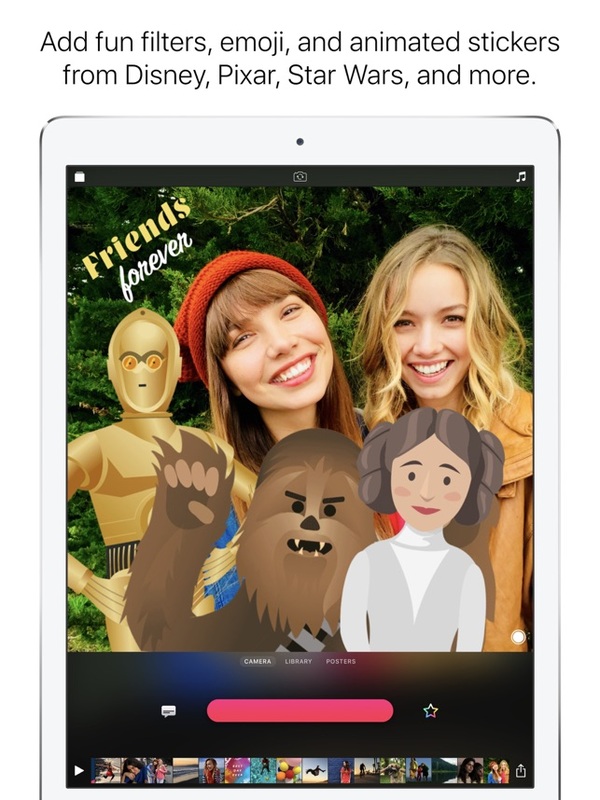 Allows you to send cute selfies to your friends and families. Great creation tool for fun video clips. No advanced video editing features. Q: What is the best GoPro video editing software? A: That depends on what your usage is. If you are looking for the best over-all software solution, then VideoProc is the answer. Q: How to get GoPro video editing software for free? A: While most free editing software might not work the way they are supposed to, you can find an affordable one with ease. Q: What video editing software do GoPro professionals use? 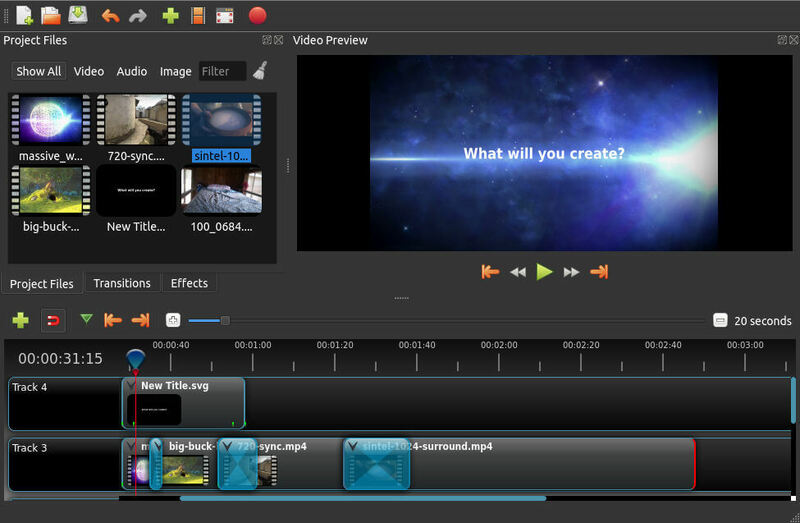 A: iMovie, Quik, and VideoProc are some of the most commonly used video editing software solutions. Q: Non-linear vs linear video editing software? A: In linear video editing, the editing has to be done in a pre-determined sequence and settings, meaning not much freedom is given to those who are interested in making changes. However, with non-linear video editing software, this is not an issue and the video can be edited in whatever sequence you desire. Q: How to be a video editor? A: In order to be a video editor, you will first need to understand the basics of video editing. You do not need professional equipment as you can sort these things out on a standard phone camera as well. The main component is having a proper understanding of how to edit videos. In order to properly achieve that, you can watch tutorials from some famous YouTubers like Peter McKinnon. Q: What type of led monitor provides the most accurate color for video editing workstations? A: If you are searching for a good monitor that will allow you to edit your videos with ease, then the best option that you could go for is going to be a monitor that has an IPS panel, and additionally, you also need to make sure that the monitor comes with proper Adobe SRGB coverage. The higher the percentage, the better the monitor is going to be. Q: What are good video editing apps? A: For the best video editing apps, you can refer to our roundup. Q: How much ram do I need for GoPro video editing? A: Video editing relies heavily on your processor and your GPU. As far as the RAM is concerned, you could do fine with either 8 or 16GB. When it comes to video editing software solutions in the market, there are a plethora of those options available. The thing is that you might run into confusions as to what software you should use. It is okay, we have been there as well. In a situation like this, relying on something like a good roundup can help you in more ways than just one. That is in this roundup, we mentioned the best video editing software solutions that you could find. Sure, the list is short and concise as far as the options are considered, but it is kept that way so you do not have any confusions finding and choosing the right option.